Fill the base of 2 of your popsicle molds with chocolate coco pops and add chopped up strawberry (should fill just over half the mold) and fill with clover milk freeze overnight. Fill the base of 2 of your popsicle molds with pink coco pops and top with blue berry strawberry (should fill just over half the mold) and fill with clover milk freeze overnight. 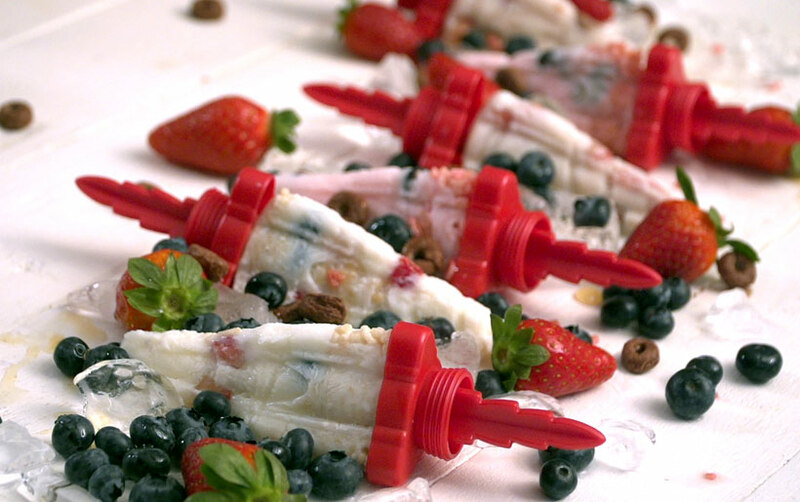 Fill the base of 2 of your popsicle molds with rice crispies and top with chopped up strawberry and blue berry.